Shifts in the timing and magnitude of the spring plankton bloom in response to climate change have been observed across a wide range of aquatic systems. We used meta-analysis to investigate phenological responses of marine and freshwater plankton communities in mesocosms subjected to experimental manipulations of temperature and light intensity. Systems differed with respect to the dominant mesozooplankton (copepods in seawater and daphnids in freshwater). Higher water temperatures advanced the bloom timing of most functional plankton groups in both marine and freshwater systems. In contrast to timing, responses of bloom magnitudes were more variable among taxa and systems and were influenced by light intensity and trophic interactions. Increased light levels increased the magnitude of the spring peaks of most phytoplankton taxa and of total phytoplankton biomass. 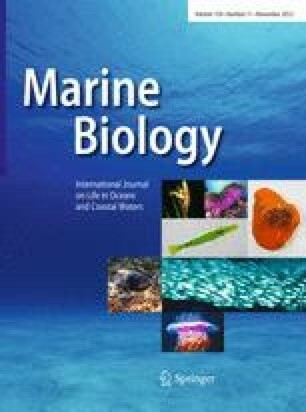 Intensified size-selective grazing of copepods in warming scenarios affected phytoplankton size structure and lowered intermediate (20–200 μm)-sized phytoplankton in marine systems. In contrast, plankton peak magnitudes in freshwater systems were unaffected by temperature, but decreased at lower light intensities, suggesting that filter feeding daphnids are sensitive to changes in algal carrying capacity as mediated by light supply. Our analysis confirms the general shift toward earlier blooms at increased temperature in both marine and freshwater systems and supports predictions that effects of climate change on plankton production will vary among sites, depending on resource limitation and species composition. Technical assistance by T. Hansen and C. Meyer for the marine and by A. Wild, A. Weigert, and M. Feissel for the freshwater experiments is gratefully acknowledged. This work was supported by the DFG (Deutsche Forschungsgemeinschaft) within the priority program 1162 “AQUASHIFT” (the impact of climate variability on aquatic ecosystems).